The 2010 Hollywood celebrity fest chick-flick Valentine’s Day opens with Reed Bennett, a florist played by Ashton Kutscher, proposing marriage to Morley (Jessica Alba), as she wakes up on Feb. 14. Evidently startled, Morley initially accepts, sending Reed on a joyful mission to let everyone know his sweetheart said “yes”! But his elation is short-lived. A few hours later Reed finds Morley in his apartment packing her bag as she hands back his ring and walks out on the relationship entirely. Just then, as movie’s downtrodden protagonist leaves the scene, the narrator — a radio show host named “Romeo Midnight” — drops a word of wisdom that sounds a tinge sufi. “It’s Romeo Midnight back again. When I watched this movie shortly after its release, I was bemused at the irony of hearing a 13th-century Islamic poet and scholar quoted in a cheesy American blockbuster seemingly unwittingly. A Persian poet of love, Rumi is often uprooted from his historical context and polished for resale for Western audiences who may not realize his object of affection isn’t a romantic love interest, but the Divine Beloved. Rumi writes in a transcendent and inclusive way about love and loss, so his wide-reaching appeal isn’t surprising. Yet it can be frustrating to see him conspicuously taken out of context. Not only is he often divorced of the Islam, or Self Surrender, his poetry conveys, Rumi’s words can be used to propagate unrealistic ideals of how romantic love is the magic key to personal fulfilment and happily ever after. I’ve certainly been swept up in these sentimental pursuits, especially in my 20s. 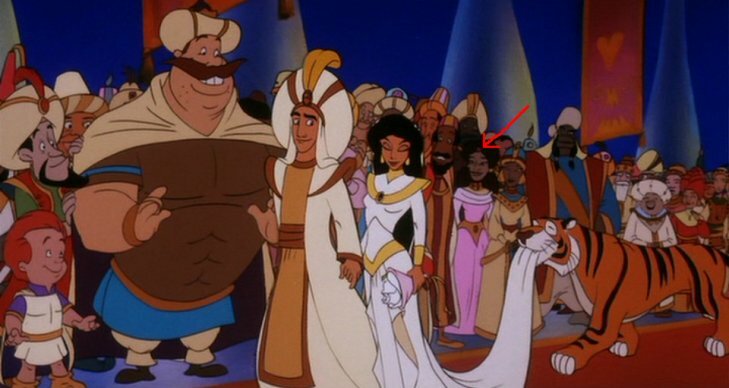 My upbringing combined Egyptian influences and North American popular culture (Hollywood and Disney included), particularly in the late-1980s and 90s, both of which dictated I needed to find love, get married and have children to be whole. Turning on a tune by Egyptian legend Abdel Halim Hafez, my sister Mandy handed her iPod to Uncle Hoda and gestured him to place the headphones over his ears. Seconds later, an expression combining astonishment and glee came over his face while listening to a melody that must have taken him back at least three decades. Our uncle laughed and sang along to the words of “Gana El Hawa, the Love Came to Us,” while swaying his head from side to side, fully mesmerized in enjoyment of the moment. If there’s anything that I will always treasure about my Uncle Hoda, who passed away last month following a battle with cancer, God bless his soul, it is that he was among only a small number of people that I’ve encountered who lived for the present. I imagine it was Uncle Hoda’s deep connection with God that enabled him to embody this state of being. He spoke with great reverence of the Divine, and the love that sprang from that bond was contagious. Positivity and optimism radiated from him; whenever he entered a room, it was with the lightness and calmness of a person who was content with the joys and patient with the challenges of his life. As my two sisters and I reminisced in our Whatsapp chat room about our beloved maternal uncle in the days following his passing, we alternated between tears and laughter. I was struck at how profoundly he had affected each of us, given we lived far apart most of our lives, Uncle Hoda in Egypt and us in a scattering of cities around North America, the Arabian Gulf and Europe. It was joyous to reunite with our uncle during summer holidays, the distresses of our childhood dissolving away in his playful presence. He was consistently ready to offer a smile, which would make his small eyes almost disappear beneath his bushy eyebrows. Whether he was getting us to hum and sing along to the latest Egyptian pop song or sending us into an endless round of giggles during an afternoon drive around Cairo by swerving his car to the right and left in a zigzag pattern, Uncle Hoda always made us feel like the centre of his attention. As I got older, the ease with which our beloved uncle yielded to the flow of life was deeply inspiring for my spiritual journey. He would constantly seek divert attention away from himself to calm the often-frayed nerves of his siblings. When a car accident took our beloved uncle to within a hair’s breadth of death 16 years ago, I remember how on emerging from his coma, Uncle Hoda would downplay his pain to calm his rattled and restless sisters. Even as he battled the painful side effects of treatments for pancreatic cancer this summer, our uncle tried to reassure our worried mom that the symptoms were bearable and he was infinitely content with whatever God willed. As I was growing up, Islam’s benevolent female saints existed in my imagination as otherworldly matchmakers. Common features of my family’s infrequent summer holidays with relatives in Egypt were visits to mosques enclosing the shrines of Sayyida Zainab and Sayyida Nafisa, two descendants of the Prophet Muhammad who have come to be regarded as Cairo’s patron saints, may God grant them peace and blessings. My mother, often with her sisters who lived in smaller cities along the Suez Canal, would arrange mini pilgrimages to these grand Cairene mosques for a single purpose: to pray for suitable partners for their unmarried children. Amidst weeps and whispers, they would gather around the mausoleums of these saints offering earnest prayers to rescue their single daughters and sons from the matrimonial side lines. From beyond the divide between this world and the next, these venerable women of faith would intimately identify with the anguish of being the mother of an unwed child and act as intermediaries with God in removing the obstacles blocking the perfect partner from springing forth – at least that was the hope of my female kin. While my own memories of these visits are vague and likely layered by personal accounts relayed by my mother over the years, the urgency placed on marriage left me feeling perplexed. The more I found myself becoming the focal point of the prayers, the more frustrating and painful these pilgrimages became. 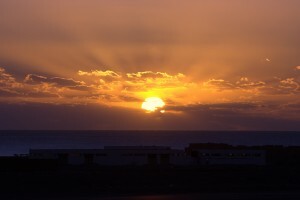 I love it when I have a SubhanAllah moment. It’s one of those defining moments during which you witness a miracle of nature or are reacting to a turn of events that shows the inherent destiny of things. It reminds you of the perfection in all that God ordains, so much so that in the very instant it happens you say, SubhanAllah, meaning “Glorious is God”. I had one of those moments today. I’ll try to recreate it but I’m certain I won’t really be able to capture its significance because, in the end, it was quite mundane occurrence. 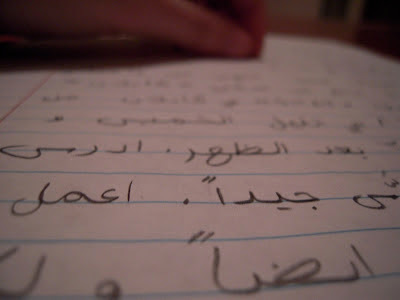 I’ve been studying Arabic for almost two years now and have in that time rediscovered my love for pencils. The Arabic alphabet comprises a series of elegantly curved letters that are most attractively transmitted onto a sheet of paper when I use a freshly sharpened pencil. I find excitement and enjoyment when I endeavour to express thoughts on paper in Arabic, whether I’m writing a short story for an assignment or a short note to a friend or family member. Perhaps because I exert more effort to find and compose the right words within the language, I sense that any note I write is infused with more heart than the language I use unconsciously. I’m always eager not to make grammatical errors, and yet even though I inevitably do, I’m satisfied with the beautiful cursive sentences I’ve scrolled onto the sheet of paper before me. Sometimes I think about how different my life would be if I had gotten married at 23 years old. At the time, nine years ago, I was engaged to my first love, and so love-struck that I failed to see in him any flaw and naively dismissed many warning signs of serious potential pitfalls facing our relationship. While he was perhaps “suitable” within cultural standards, when I look back now he was undoubtedly an improper fit for me for so many reasons, and I am thankful to God that circumstances, however messy and piercingly painful they were, unfolded as they did and our relationship unravelled at the seams. Severing ties completely was a hard blow but a precisely necessary one. I sincerely believe that if this marriage had proceeded, it would have distracted me from realising my full potential in numerous avenues in my life. With him I was never completely myself. I was constantly adapting to his needs, desires and objectives, playing a role as though it was truly my own. Rather than seeking a comfortable complementary bond with a partner who would support my personal and professional ambitions, I was almost exclusively positioning my life to furnish his own. Suffering from a glaring wake up call, I faced the broken heart of my life after that relationship ended. Innumerable minutes in months were spent repetitively wondering what had gone wrong and what I could have done differently to have salvaged our relationship from oblivion. Regardless of how inexplicable the moment of departure was, and how many times I tried to rework this failed equation in my mind, it happened as it should have. It was only years later that I realised a good deal of these negative emotions that had arrested me stemmed from a lack of self confidence and deficiencies in my faith. At that juncture I very quickly moved from the cusp of matrimony to being plunged into singlehood for the better part of a decade. It wasn’t that I was closed off to the idea of marriage, but I did not cross paths with a complementary companion. So, rather than learning how to live well with another person, I was compelled to learn how to be happy on my own. This has turned out to be one of the most-precious and valuable lessons of my life. Achieving a sense of contentment with being alone has been no easy feat. It is often difficult, for women especially, to feel at ease while being single simply because of the tremendous familial and social pressures that impede the process of finding comfort alone. Arab societies, like numerous others, glorify marriage as the only means for women to achieve fulfilment and happiness. Women are programmed to focus their happiness on securing and maintaining another person’s affection, regardless of whether they have realised peace within themselves beforehand. No matter what they may have accomplished professionally and socially, Arab women are too often pitied and deemed incomplete without a husband and kids. What I have found in the past nine years since that ill-fated romance in my early 20s, and especially in the past few years, is that cultivating a deep sense of self is in some ways better realised alone. Developing a quiet, nuanced awareness of who I am has actually been the best way to prepare myself for marriage, if God wills that I find myself in this bond someday. Spending a lot of time on my own has forced me to really understand my heart, built my confidence, recognise my beauty and talent and, most importantly, fortify my bond with God. The peace of mind that comes with striving to live in Islam, Arabic for submission to God, has tremendously boosted my sense of self and purpose. When this bond with the Almighty is the guiding principle, we become more careful and mindful of our interactions. We learn to treat our family members, friends, colleagues, spouses and strangers in the best possible manner so as to embody the assets of a good Muslim human being and thus fulfil a divine commitment prescribed by God. From this vantage point, our desire to form relationships stems not from a need to fill a void because of a deficiency, but rather to further enrich our lives and contribute to our faith. We learn in Islamic teachings of Prophet Muhammad, peace and blessings be upon him, that marriage constitutes half of one’s faith. Forming a family is the cornerstone of society and marriage is a bond that can be exceptionally valuable in our development as individuals. It is certainly a bond that I would feel very blessed to be able to build upon and strengthen in the next stage of my life. But no matter what social pressures are exerted upon us, marriage cannot be rushed, uncritically expected or forced. When God wills for us to find a partner, it will happen, whether we are 23, in our mid-30s, well above 40 or not at all. I genuinely hope to find a virtuous partner and build a good, happy marriage that enhances my life. But I find that this reflective time alone has given me a clear sense of self and faith that is of incalculable worth. I wouldn’t trade a day of my singlehood in the past nine years because of the sense of personal fulfilment and peace I uncovered along the way. It is precisely by building this foundation of harmony with self that, I believe, will bring us independent single ladies greater contentment in marriage when it does come to pass. Whenever I have a stopover at an airport, I get a sense of just how big the world is. Each is an international intersection where a myriad of people walk to and fro through its overcrowded terminals, wait at countless gates eager to board flights to numerous destinations. The vast majority of these are people I will never cross paths with again. Perhaps because I have normally travelled alone on business and leisure trips in the past 10 years, these encounters often left me feeling acutely aware of how lonely the world can be. Despite the enormous size of the world population, the number of people who will enter and leave an imprint on our lives is strikingly small. Starting from this perspective, I often marvel at the miracle of friendship. Of all the people we meet, interact and work with over the years, only with a rare, select number will we forge sincere, lasting bonds. Even among individuals we identify as friends, there are only a few, if we are lucky, that we will connect with on a deep enough level to feel we can be completely ourselves. In addition to my two sisters whom I adore, I also have a couple such friends—rare companions who are truly precious gems on the journey of life. With these true friends we are able to spend every free minute if we had the ability, or we can go months without seeing them at no consequence to the comfort of a bond that springs right back to normal, as though not a moment had passed apart. These are the friends who will stand by us during those dreadful, lousy periods when we are dealing with difficult workplaces, harrowing heartbreaks, complex family troubles, or are grappling with the surprise death of a parent. Such friends will open their homes to us during times of anguish, and somehow intuitively know when we need a boost of inspiration to invigorate our downtrodden spirits. At times they join us in hearty laughter, generously share in wholesome meals and humorous stories, while at times they linger in silence with us following a meaningful conversation. They help us pray, pray for us, and warmly congratulate and share joy in the trivial and exceptional successes that change our lives, even when it means our paths will be divided along the way. I feel God’s immense blessing at the honour of having such remarkably rare friends in my life. The way we understand our connection is unspoken and subtle. Yet there is a clear mutual sense that although life will surely pull us in different directions, we will always actively seek ways to bridge the space between. or coming back toward you. There is a scene in the movie Bridget Jones’s Diary where the single Bridget is attending a couples dinner party at the home of her only married girlfriend and is warned that she’d better hurry up and “get sprugged up” because the ubiquitous ‘clock is ticking’. Bridget is then asked the question that women like her – over 30 and unmarried bachelorettes across the world – dread to answer. “Why is it there are so many unmarried women in their thirties these days, Bridget?” asks the smug husband of an acquaintance from across the table, with his pregnant wife at his side. 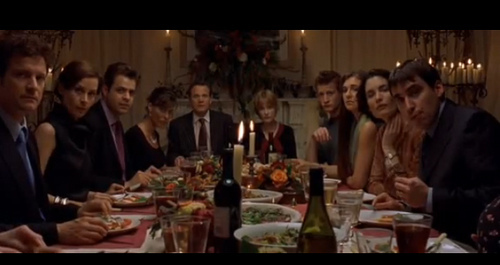 Silence falls on the dining room as everyone sets down their utensils and all eyes converge on Bridget, almost expecting her to answer on behalf of every single woman in her thirties, everywhere. Sometimes I wish I could respond as she did at that moment when emotions of anxiety and embarrassment come together in piercingly sharp force in the centre of even many a resolute woman’s chest. Yet it is not always easy to take questions of postponed marriage in jest and good cheer. The stigma attached to being a single woman above 30 prevails in various cultures, which is why many of us can relate to Bridget, even if the cultural circumstances may differ tremendously. Arab communities are particularly unforgiving of women who have not tied the knot by 30, and preferably many years younger. I was dismayed by the marriage question six years ago at 25 and I still wince when it is asked today at 31. The obsession with marriage has made women view forming a family as the only culturally and religiously acceptable way to live their lives. Under this logic, no matter what she may have accomplished, a young Arab woman is doomed to be pitied and feel incomplete without a husband and kids. Some women are pressured to marry early and, as the years pass, to regard any man who has a job, is single and under 45–regardless of whether he happens to have a complementary personality– as a suitable match. The preoccupation with marriage has caused many women to focus their happiness and fulfilment on securing another person’s affection, rather than realising peace within themselves beforehand. There is no use in crushing women’s self esteem as they get further into their 20s and enter their 30s simply because they have failed to cross paths with suitable men. 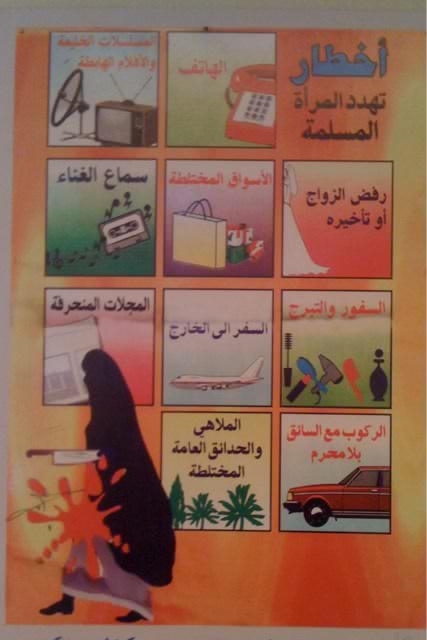 In an extreme example, the poster below, found in a Saudi elementary school, recently did its rounds on Twitter. It outlines a series of threats facing Muslim women, with an ominous image of a woman who appears to be gushing blood after being stabbed. Among warnings against listening to music and travelling abroad, proper Muslim girls are advised against “refusing or delaying marriage”. Rather than engendering a love of God in young girls they are taught to fear the wrath they would face if the pursuit of marriage is not their top priority. By almost every measure outlined in the poster, I would be doomed – even though I hold family and marriage in very high regard. Family is the cornerstone of society. At a number of points in the Quran God advises us to be good to our parents, treat each other with respect and even informs us that He has created for us mates with whom we should deal with love and mercy. I hope to start a family and, if God wills, have children of my own. But I struggle to find compelling religious justification for marrying young. Often, I would hear people say that children and wealth are ‘zinat hayat al-donya’ (adornments of this worldly life). This Arabic phrase excerpted from the Holy Quran has been regularly cited in my life as a justification for starting a family as early as possible; building a family unit is the primary purpose of a virtuous life. God appears to be advising us to avoid becoming fixated on the pleasures we find in the money we earn and children we have. These things offer us a comfort in life but what endure for God are our righteous deeds, not our pursuit of family or wealth. God further calls on us repeatedly to be tolerant, to accept all of His blessings with gratitude and challenges with patience. So by extension, there is no contradiction in being single and being virtuous. People’s faith in God-granted destiny (naseeb) often wavers when it comes to marriage. Our communities are prone to placing the onus of blame on the shoulders of the single women themselves rather than trying to address the real challenges facing our societies with meaningful solutions. From the perspective of myself and other single Muslim women, there are a limited number of options available for us to meet like-minded Muslim men. Introductions happen quite infrequently as family or friends take a more and more inactive role in our personal lives. I am lucky to have very supportive family members, including my mother, who would not pressure me to wed. Nevertheless, there are moments of weakness where I am advised on how ‘a mediocre marriage is better than no marriage at all’. I have had my fair share of experiences with ill-fated love and awkward rendez-vous with men who had little compatibility with me other than that they happened to be single. Single Arab women are often assumed to be too difficult, too picky, too ambitious or too head-strong to qualify as marriageable material. Quite to the contrary, most of the unmarried, over-30 women I know are considerate, intelligent, attractive, tolerant, family-oriented and chaste. Very little differentiates them from married women and most of us are not going around rejecting every guy who comes by. The point is that ‘the one’ – be he Mr. Right, Mr. Wrong, or Mr. Adequate– hasn’t yet come a knocking for whatever reason. Last year, I was having lunch with an acquaintance, a young Arab woman some five years younger than myself, who told me she did not want to become that girl who is alone at 30 (she assumed I was about 27). She appeared almost terrified at the prospect. I consider myself to be successful, compassionate and more attractive now than I was at 25, and yet so many women fear the cultural marginalisation they would face if they turned out like me. More and more, I regard such perceptions about the suitable age for marriage as a sign of cultural distortion and oversight of faith. Finding men who are willing to consider choosing a 32-year-old over a 23-year-old has, sadly, frequently turned into a search for the exception to the rule in Arab Islamic circles. Yet when Prophet Muhammad ﷺ recounted his monogamous marriage to his first wife Khadija, 15 years his senior, he did so with unparalleled reverence. Their 25-year marriage was full of harmony, and he is known to have described Khadija as his intimate friend and his wise counsellor and companion. Responding to one of his later wife’s claims that God had blessed him with better, more youthful brides than Khadija after her death, the Prophet ﷺ has been cited as saying: “Indeed Allah did not grant me better than her; she accepted me when people rejected me, she believed in me when people doubted me; she shared her wealth with me when people deprived me; and Allah granted me children only through her”. There are simple lessons in this: we must have faith in the spirit of God’s message, and be tolerant, patient and progressive in our expectations when dealing with issues of marriage. If a woman is destined to marry at 40 and have four children, as Khadija did, it will happen. If God wills her to marry at 23 and be barren, that too will come to pass. Just because most women fall somewhere between the two extremes does not diminish the importance of accepting that God tests each of us in different ways. Marriage is not a magic ticket to salvation. The next time someone asks me why I am not married yet I hope I can come up with as witty a response as Bridget’s, something that will, with any luck, cause the person to pause for a moment and call into question their question. It was reaching the moment the crowd of 2,000 attendees had been anticipating for more than two hours: the bride was about to be unveiled. I use the term ‘unveiled’ because she was literally uncovered from beneath what I can only describe as a gigantic circular curtain, in the shape of what looked like a four-layer cake decorated with ruffles and lace. The background music was forceful; my sister said it reminded her of the theme music used during battle scenes in the movie Lord of the Rings. For some reason the intense tunes seemed an entirely appropriate way to capture the occasion, which was truly momentous at least for the families involved. One layer at a time the curtain rose from the floor of the podium situated in the centre of the giant exhibition hall where the wedding was held. An exquisitely dressed young Emirati bride of about 20 emerged from beneath the rising curtain, sitting on a small cream-coloured couch made for two, the sweeping train of her glittering wedding gown carefully placed on the floor around her. My sister and I had arrived 45 minutes earlier at 10:30 p.m., about two hours late but just in time for the tail-end of a dinner comprising traditional Emirati and Asian cuisine consisting of briyani with mutton, chicken masala, a variety of grilled meats and a dish known as Harees, which has a thick porridge-like consistency combining wheat, meat and salt. As the attendees finished dinner, munched on desserts and sipped Arabic coffee, the anticipation was evident. Everyone was eager to have their first glimpse of the bride at this women-only affair (that is, apart from the male Gulf Arab musician, whose name I did not catch, giving a live performance during dinner). Traditional Emirati weddings are held in two ceremonies, the first for the groom, which I have heard typically involve a grand dinner party held within a week of the women’s gala. The men’s ceremony is supposedly much more basic, with festivities saved for the bride’s night. On this particular occasion, the groom’s bash took place the evening before. In all Emirati weddings I have attended, toward the end of the women’s ceremony the groom comes into the hall, often with his father or another male member of the family, and walks across the stage toward his bride. They sit together briefly for photographs with close family and then the two depart to commence their lives together, often going home to a villa festooned with lights. Over the past few years, I have attended a number of weddings for Emirati couples, including a group wedding where about 70 employees of a local bank tied the knot at a single ceremony paid for by the bank. Depending on the financial capabilities of the families, Emirati weddings vary in their size and ability to dazzle. There is one common thread that runs through all of them, however, and that is that I am always under-dressed. I stopped trying to dress appropriately for UAE weddings because no matter how hard I try, my wardrobe and hairstyle are simply too minimalist to fit in. Many of the women look so glitzy and sensational they would put actresses on the Oscar Red Carpet to shame with their fabulous, colourful gowns and the remarkable hairstyles they are able to accomplish with their unbelievably thick, long and lustrous black hair. (Masha’Allah) Others look too gaudy and flamboyant for my tastes, although again I imagine that to be very much like a night at the Oscar’s. At weddings, local women tend to let some of their guard down. I often find myself stunned at the size of the emeralds, diamonds, rubies and sapphires dangling from their ears, on their necks and around their wrists. One can see small groups of young ladies dancing together on the stage, supposedly exhibiting their goods for potential mothers-in-law in a way they would not be able to on a daily basis. This wedding last Friday, which was arranged by the families, was particularly extraordinary. I will refrain for naming the families involved for privacy reasons, although I can say that the bride and the groom were from two different emirates of the seven that comprise the UAE federation. We were prohibited from bringing in our mobile telephones to the extravaganza, and as the bride strutted her way across the stage, not a single camera flash could be seen from the crowd, other than that of the professional camerawoman hired to capture the affair. So, back to the bride, because she’s the reason we were all there. Directly before the cake-shaped-curtain contraption was lifted from the floor, there was a performance that I must describe because it was so bizarre. Remember C-3P0, the shiny golden robot from Star Wars? The two performers who took to the stage looked like C-3P0, except wearing skirts shaped like metallic cones. The performers swayed to music similar to what I described earlier, appearing to glide across the stage, waving fans made of golden feathers in their hands. Once their unusual 10-minute performance was complete, the bride emerged from beneath the curtain, adorned in a gown that glittered so immensely it was as though diamonds and crystals were stitched into every crevice of the dress, from the chest to below the knees. As the young bride made her way slowly down the catwalk, and all eyes in the room were glued to her, six assistants followed her to adjust the train, a daunting task requiring huge coordination to fix the heaps of fabric that trailed behind the bride for three metres or longer. I cannot imagine how heavy the dress must have been. Yet, the petite bride smiled the entire time, her face and eyes beaming at her family, relatives and friends as she relished in the 20-minute spotlight that marked the beginning of the next chapter of her life. At that point, I had joined a crowd gathered at the tip of the catwalk to get a closer glimpse of the dress, the hairdo, jewellery and makeup. I realised then that while the traditions may vary widely, a truly universal thread runs through virtually every wedding of every culture, in every part of the world: the wedding ceremony is the bride’s moment in time to steal the limelight and rejoice at one of her life’s milestone achievements. 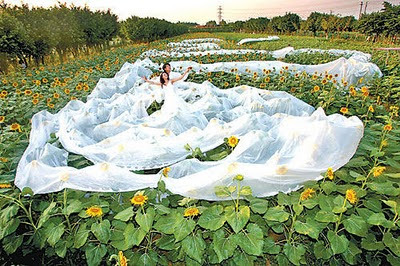 This bride, at least on the surface, certainly did radiate.